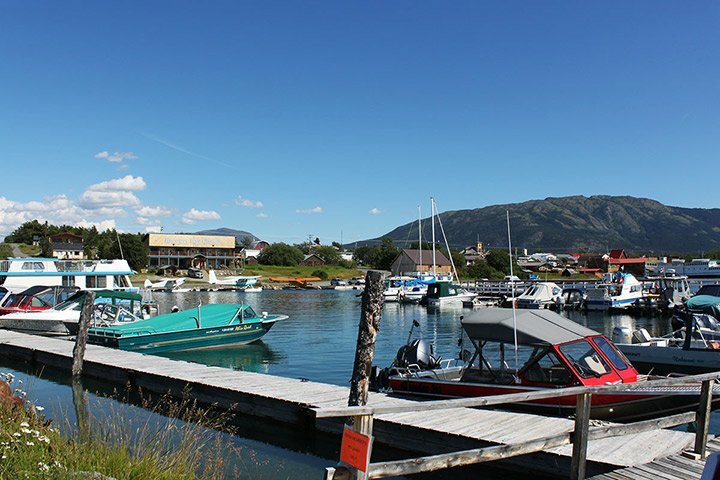 Isolated from the rest of British Columbia, the town of Atlin, BC can only be reached by the Atlin Road, which is a turn-off from tthe Alaska Highway in the Yukon. Completed in 1950, this road is partly paved and 100 km (60 mi) long. You'll enjoy the pristine mountain and lake scenery, as well as the quaint town you'll arrive in just an hour after the turn-off.